The trash can top has a pressing ring, retrofitting garbage bags to facilitate. 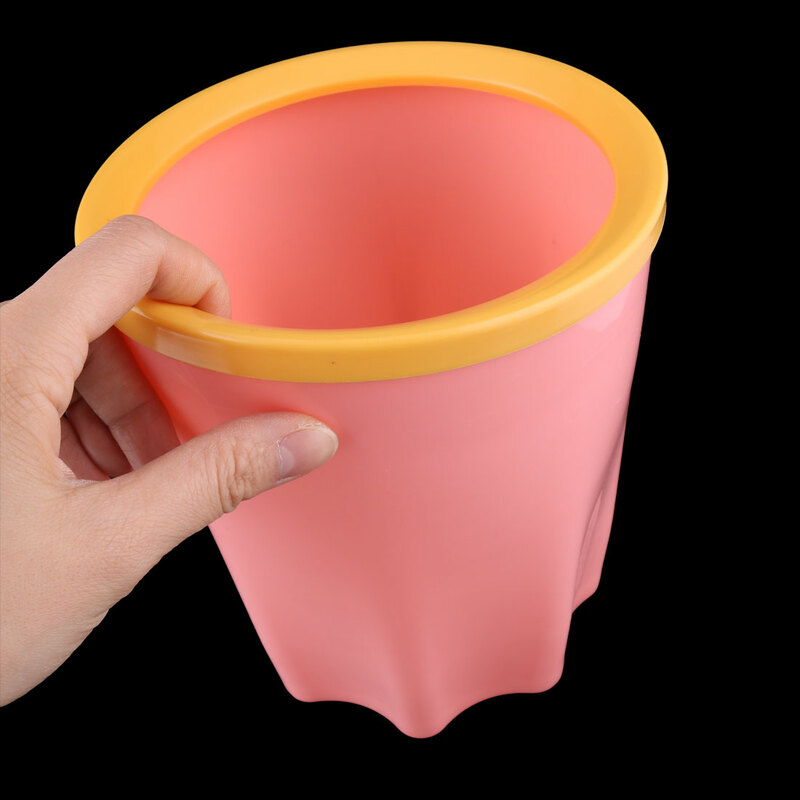 Can be used in home, office, etc, can be used as trash can, ashtray, coins holder. It makes handy and convenient when you need to throw rubbish when you sitting at the table. Since the size above is measured by hand, the size of the actual item you received could be slightly different from the size above. The measurement error is 1-2cm.